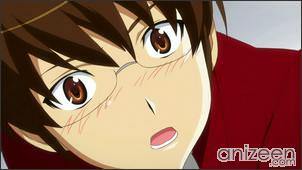 Keima Katsuragi, a second-year high school student, is an avid bishoujo game player. He is known on the Internet as “Otoshi-gami”, or The Capturing God, for his legendary skills to be able to “capture” any 2D girl in games. 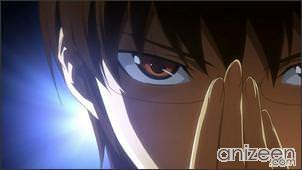 However, in his actual school life, Keima is known as “otamegane”, a derogatory blend of the two words “otaku” and “megane” and is considered nothing but an intelligent yet gloomy geek with glasses. 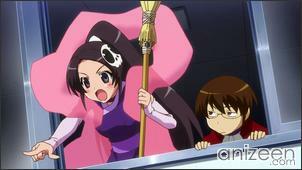 One day, Keima receives an e-mail offering him a contract to “capture” girls. When he accepts it, thinking it is an invitation to a game, a demon from Hell named Elsea de Lute Irma appears. She asks for his cooperation to help her in catching runaway spirits. These spirits hide themselves inside the hearts of girls’, and Elsie suggests that the only method to force the spirits out is by “capturing” the girls hearts—making them fall in love with him and filling up the gaps which the runaway spirits hide in. Interested only in 2D girls, however, Keima is appalled by the idea and refuses the assignment as he has no romantic real life experiences whatsoever. 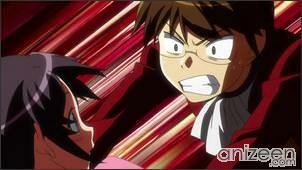 Nevertheless, with the contract already agreed, Keima has no choice but to help Elsie no matter what as they will be beheaded if they fail. 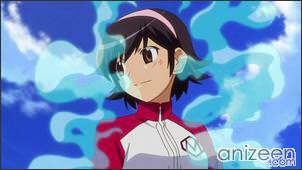 Keima Katsuragi is a 17-year-old high school student attending Maijima High School Academy. At an early age, he acquired an obsessive interest in video games; now he is well known in the gaming world for his legendary skills in “capturing” any girls in dating sims. 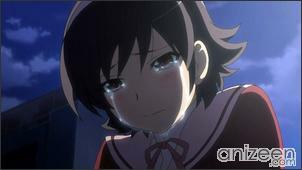 But ironically, almost everyone in his school dislikes him due to his extreme devotion to videogames. Despite himself saying he likes girls, it’s the perfectly theoretical and beautiful girls of the game world that he prefers, not the girls in reality. 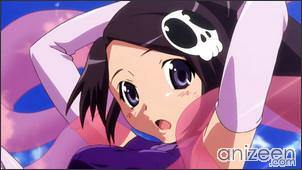 Elsea de Lute Irma, or Elsie, is a demon who was assigned to capture evil spirits that have escaped from hell. 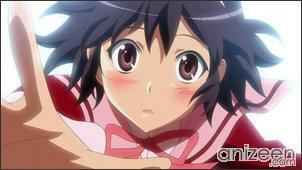 She is shown to have a very sweet, pure and innocent personality and often tries to please Keima’s expectations as a “little sister” though often fails due to the cultural differences between them and how her endeavors usually leave Keima in a bad situation. Elsie is often made fun of by the other demons because of the poor grades she had in the demon academy and she is shown to get equally bad marks at school. 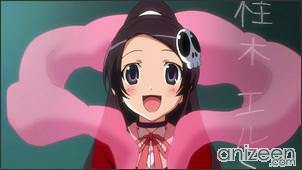 Haqua du Lot Herminium is a fellow demon and friend of Elsie. 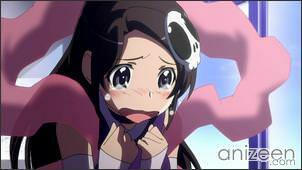 She is an outstanding honor student and was promoted to District Chief for District 32 in Nagumo city. However, she failed to capture any spirits in the human world. After hearing about how many Elsie had captured, the space in her heart widened and allowed a powerful spirit to take over. 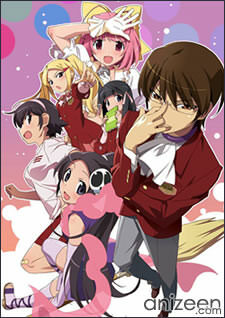 Kami nomi zo Shiru Sekai (神のみぞ知るセカイ), abbreviated as Kaminomi (神のみ), is a manga series written and illustrated by Tamiki Wakaki. The manga has been serialized in the Weekly Shounen Sunday magazine by Shogakukan since April 9, 2008, with individual chapters collected in ten tankoubon volumes as of September 2010. Ending Theme: “Koi no Shirushi” by Ayana Taketatsu eps 1-2; “Koi no Shirushi” by Aoi Yuki ep 3,5-6; “Tatta Ichi Do no Kisei” by Tomo Sakurai ep 4; “Happy Crescent” by Nao Toyama ep 7; “Koi no Shirushi from Elsie” by Kanae Ito; “Koi no Shirushi” by Nao Toyama; “Koi no Shirushi” by Kana Hanazawa; “Shuuseki Kairo no Yume Tabibito” by Hiro Shimono with Oratorio The World God Only Knows.